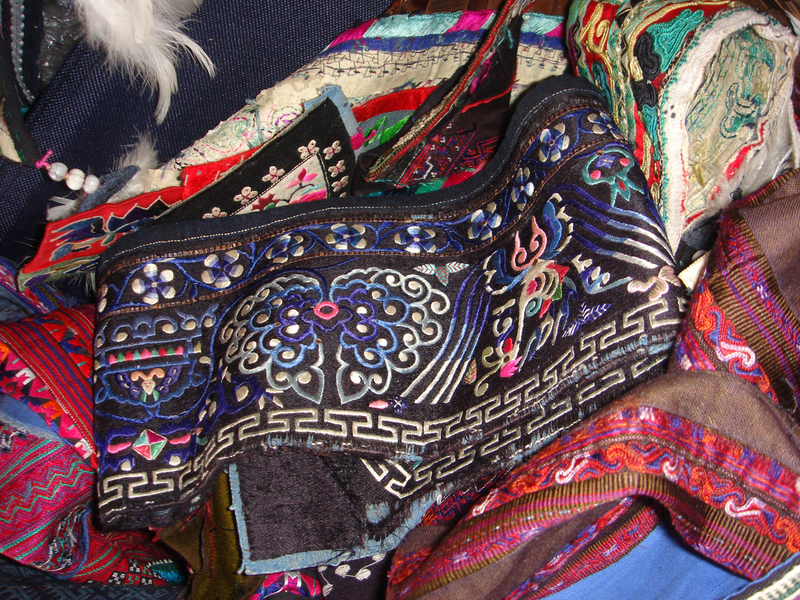 Heart Space staff went on a jolly last week, to Glastonbury for an antique textile sale. 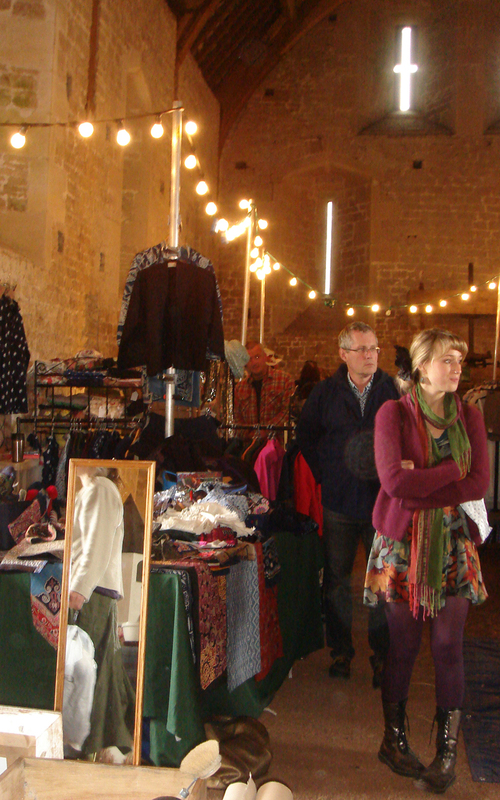 It was held in a beautiful refurbished medieval barn which although toweringly beautiful was ffffffreezing……. After rootling around, trying on hats, sighing over Edwardian wedding dresses and ball gowns, we eventually ended up buying all kinds of small affordable things. 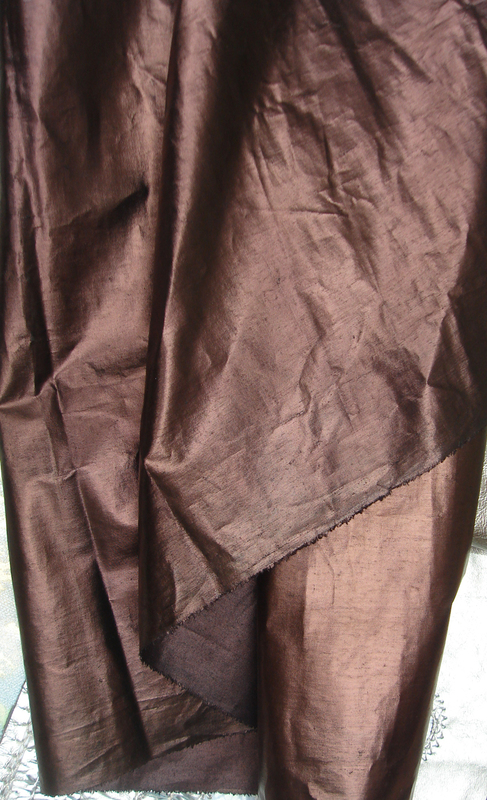 I always try to find either useful fabrics I can work on, got lucky and bought 12 matching linen handkerchiefs for my Make it Through the Night project, or totally Inspirational Objects – which can mean anything at all that just gets me itching to work. 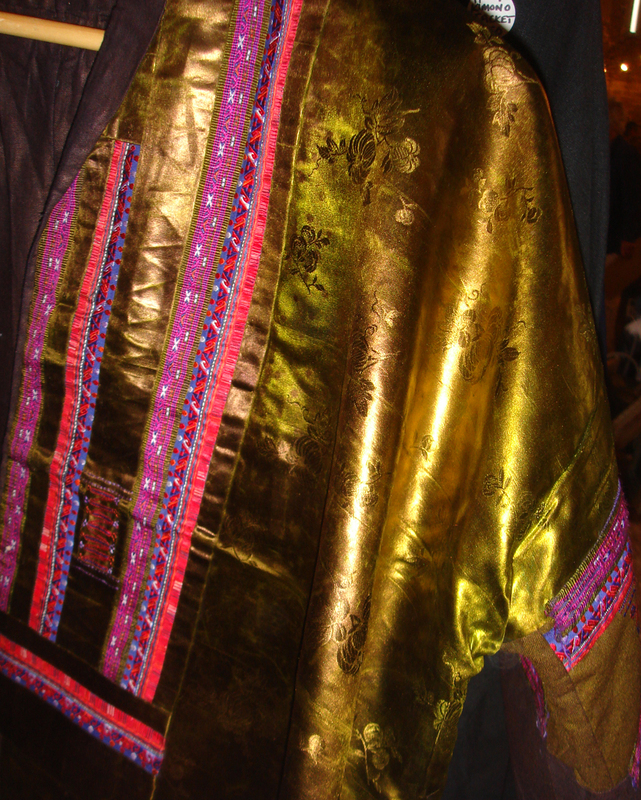 We all eventually gravitated to one particular stall, Slow Loris – an oriental textiles and vegetable dyed clothing stall selling wonderful embroideries and traditional ethnic indigo fabrics. 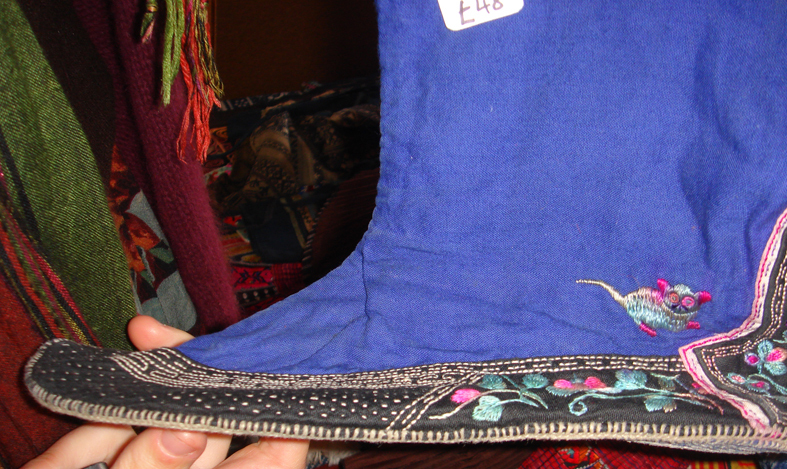 Martin has spent many years visiting, collecting, trading and working with the people who still make these costumes, books, fabrics, jewellry and boots…I got particularly interested in the boots. 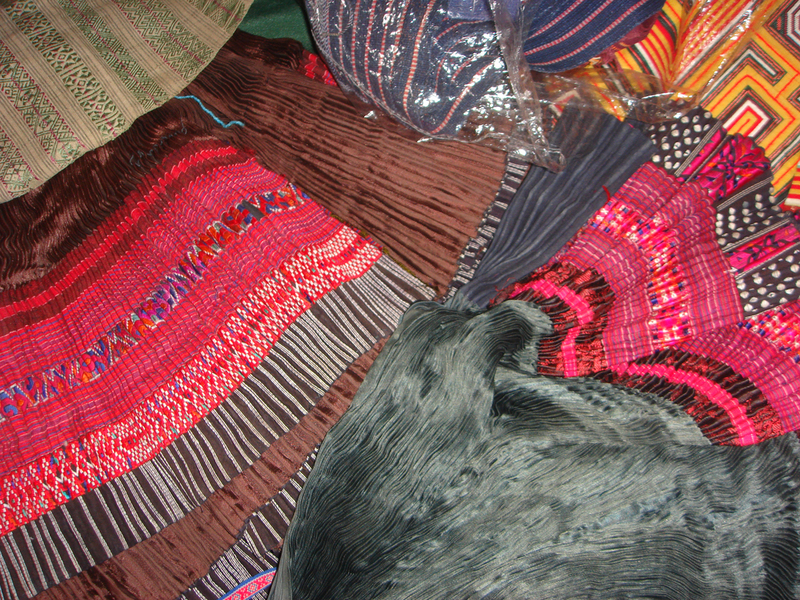 as did Sophie, our volunteer organiser who loves everything vintage, especially textiles. 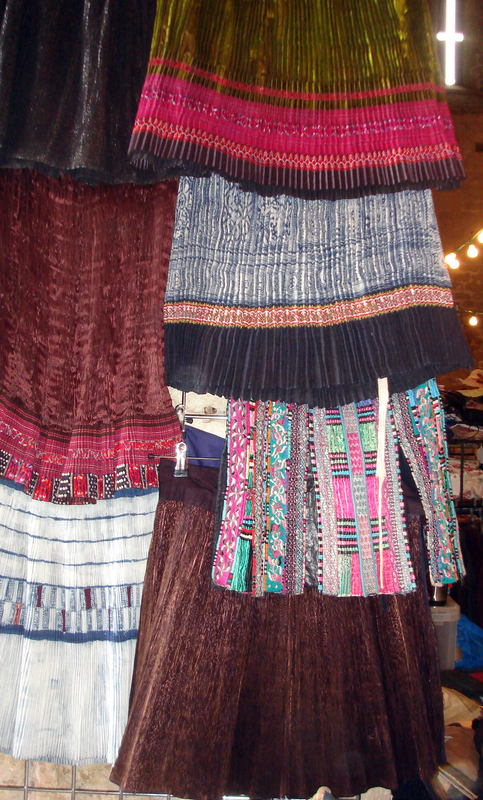 But what I really really wanted to buy – and if I could have found one to fit me I would have gone onto debt for – is a pleated burnished indigo skirt. 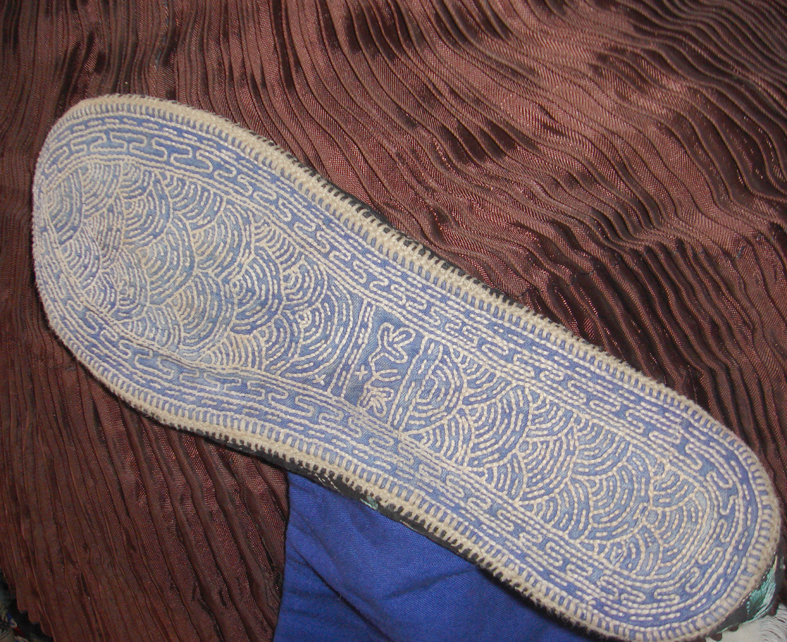 What I did eventually feel able to afford on the grounds of Inspirational Object was a metre of beaten indigo cloth; apparently the indigo is mixed with many other active natural additives to get particular effects and colours. I can only recall Martin listing egg white, persimmon, urea, amongst the different lists of ingredients he quoted to make up each different dye. And why did I buy this simple cloth with all the wealth of other desirable things? Well suddenly I saw a connection with some other things I am wanting to work with – when I get some time- to try to make some type of collaged/appliqued/stitched/ enamelled/ threaded leathers, metals and fabrics that will be combined on such a way that I can develop an entirely new set of work. 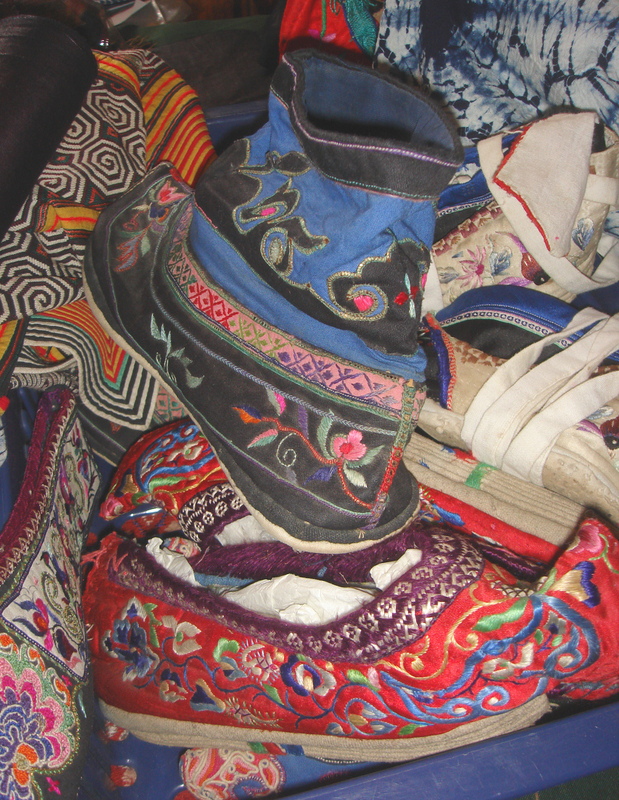 Below is a selection of the fabrics and objects that I will now start to think about again – watch this space – but don’t hold your breath! 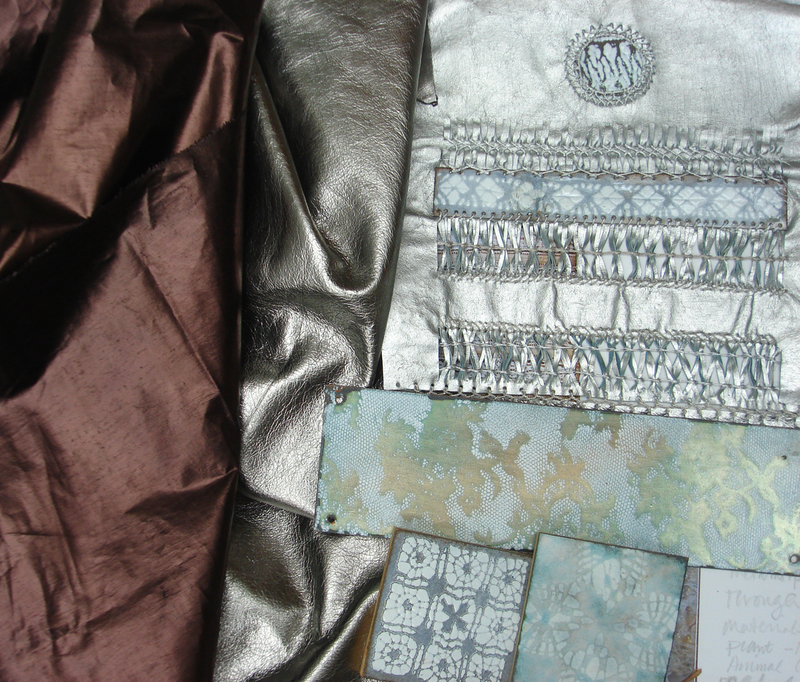 Inspirational objects - burnished indigo cotton, pewter leather, embroidered enamel with silver leather and vitreous enamel panels. Categories: Heart Space Studios, Stitched Enamel, Stitching | Permalink.